What is reviewable income protection? Do you trust life insurance companies? If you said “yes, I do” then reviewable income protection may be for you. 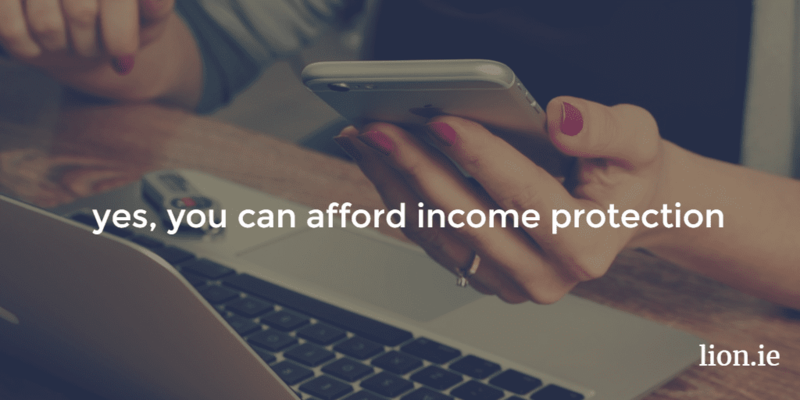 If you said “hell no!” then I think you’re going to choose fixed / guaranteed premium income protection. 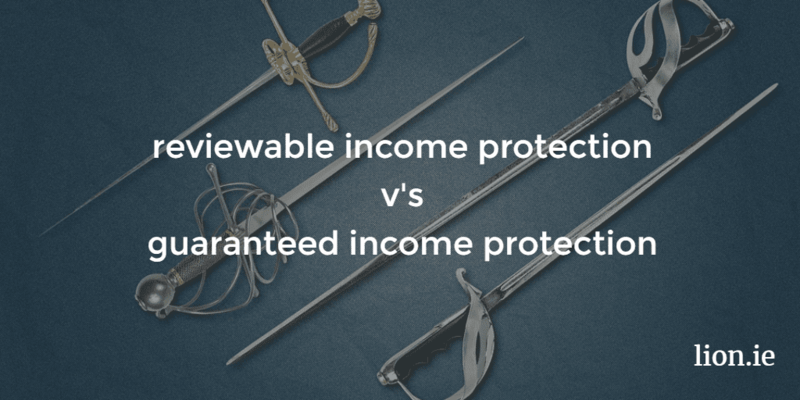 What’s the difference between reviewable income protection and guaranteed income protection? The main difference between reviewable and guaranteed income protection is the price. 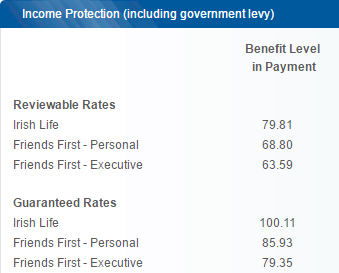 As you can see the price of reviewable income protection starts out around 20% cheaper than guaranteed. Your premium will remain constant for the first 5 years of your plan. But after than, your provider will review your premium every 5 years. So every 5 years, they can increase, reduce (yeah right) or keep the premiums as they are. Reading between the lines, you can see reviewable policies are a safety net for the insurer. If it has to pay a lot of claims, it can’t increase the price of fixed premiums policies so will try to recoup their losses by increasing the price of the reviewable policies. From the quote shown above, you can see only 2 insurers offer reviewable income protection, Friends First and Irish Life. Aviva, New Ireland and Royal London offer guaranteed income protection only. Irish Life increase their premiums on a case by case basis after the 5 year review period. In the 13 years since Friends First introduced their reviewable policies, they have never increased their premium. Whether that holds true for the future depends on the factors listed above. Who is reviewable income protection suitable for? I can see three groups of people who may be attracted to reviewable PHI (permanent health insurance – another name for income protection). If you need income protection cover but just can’t afford the price of guaranteed cover then the reviewable option is for you. The closer to retirement you are, the fewer reviews you will face so reviewable cover may make sense for you. e.g. if you’re 35 and intend to work until 70, you will face 6 reviews but if you’re 55 and you intend to work until 65, you will only face 1 review. Fancy a flutter on the 310 at Kempton? Reviewable income protection from Friends First is for you. in 13 years they have never increased their premiums. With your glass half full, they may never increase premiums and you’ll be the smart one who saves 20% on their premiums. But remember there is a chance of your horse falling at the first and Friends First may review your premiums in 5 years. So do you trust life insurance companies not to raise your premium at the first opportunity? If so, consider reviewable income protection, if not go for fixed and get the peace of mind that your premium will never increase. If you want to run something by me, you have 3 ways of getting in touch. How Much Is Income Protection Cover In Ireland? The price of income protection depends on a number of factors. Your job, the amount of income to insure, your health etc. Here's how to get a lower quote.